Lydia Campbell-Maher is an Ethnomusicologist, specializing in Sean-nós (old-style) singing. Her interest in Irish music began as a child listening to recordings and celebrating a distant heritage. In 2008, she moved to Cork, Ireland to pursue a semester of studies in Irish music and culture. She instantly fell in love with the melodies and the intimate atmosphere in which they were performed. In 2010, Lydia returned once again to Cork to earn her M.A.. During this time, she studied with two Sean-nós singers, Eilís Ní Shúilleabháin and Áine Uí Cheallaigh, while collecting field recordings. After two years of living in Cork, she has returned to her hometown. She hopes to share the songs she was given and to keep the oral tradition alive here in Indianapolis. Lydia is a performer of Irish, Western Art (Classical), and choral music. She has performed in Indiana, Ohio, New York, Ireland, and England. 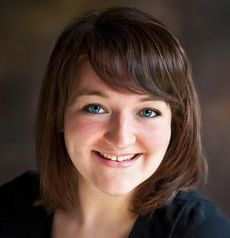 She holds a Master’s in Ethnomusicology from U.C.C., and a Bachelor’s of Vocal Music and Business from DePauw University. Today, she enjoys teaching vocal music. Her classes will be structured to emulate the relaxed, fireside ballad session, in which sean-nós singing has thrived for many years.